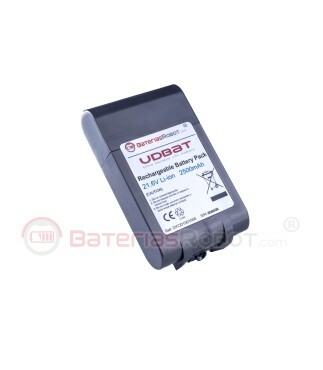 Battery equipped with UDBAT technology that provides longer life. 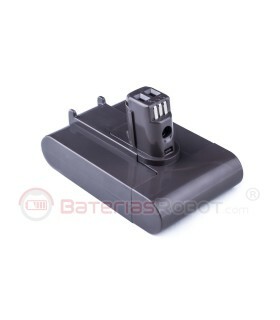 This battery is compatible with all models of Dyson vacuum cleaner DC58 DC59 DC61 DC62 DC72 DC74 V6 series. 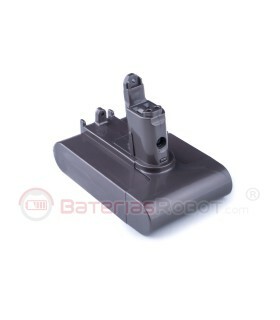 The materials used in its manufacture are of the highest quality and provide even more life cycles than the original batteries. This battery is equipped with a safety device to avoid possible accidents due to short-circuits. All models Dyson vacuum DC58 DC59 DC61 DC62 DC72 DC74 V6 series. 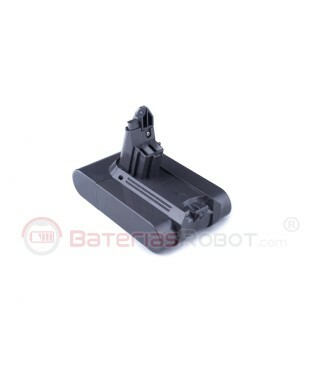 Our batteries are made with high quality components and following demanding production standards designed by BateriasRobot®. 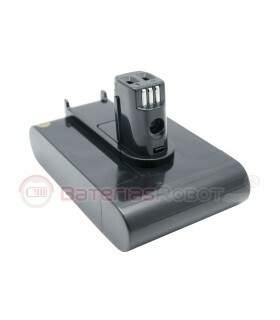 All the batteries provided in BateriasRobot.com have been tested with a series of loads and unloads, monitorized by high technology equipments. During this process, the performance is measured in every product and those who do not accomplish our demanding quality standards are discarded. If not used during long-term storage (two or three months), Li-ion batteries lose some of their chemical qualities, related with the number of cleaning cycles that they can achieve and the useful life of the product diminishes. 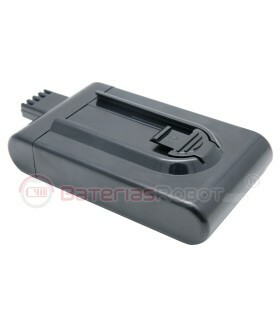 In BateriasRobot® a controlled storage is made to guarantee that our batteries will have a 100% of their useful life when delivered to the customer. 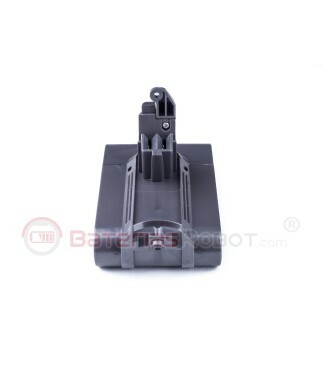 If your battery does not has any manufacture defect but suffers an abnormal loss of performance, we will change it for another one, totally new and we will assume all the delivery charges. 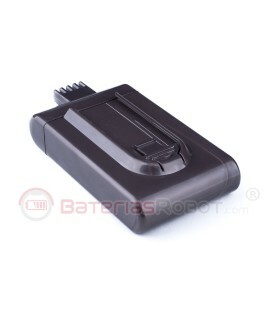 All our batteries are equipped with a serial number that allows us to make a quality tracking. 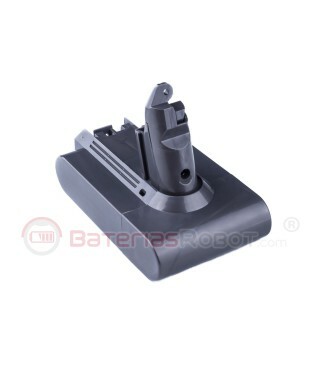 BateriasRobot® is a registered trademark specialized in the development and comercialization of high-quality spare parts, compatibles with the most prestigious brands of cleaning robots. 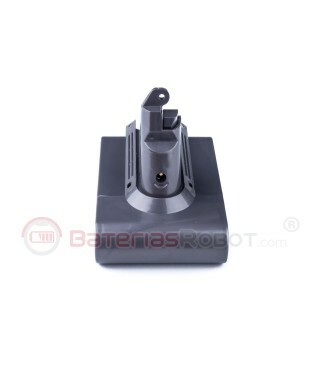 In BateriasRobot® we offer products manufactured under the most demanding standards in the European Union. Our workers analyze and try all the products that come out to market. We offer the best quality at the best price, with all the guarantee of an European registered trademark. 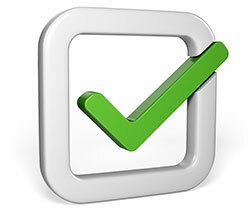 The guarantee in our product is direct. If you have any problem, it will be us who will directly solve it with you.